Running until 2nd June 2019, Andy Warhol and Eduardo Paolozzi | I Want to be a Machine will consist of two parallel displays devoted to each artist, examining the development of their work from the 1940s onwards. 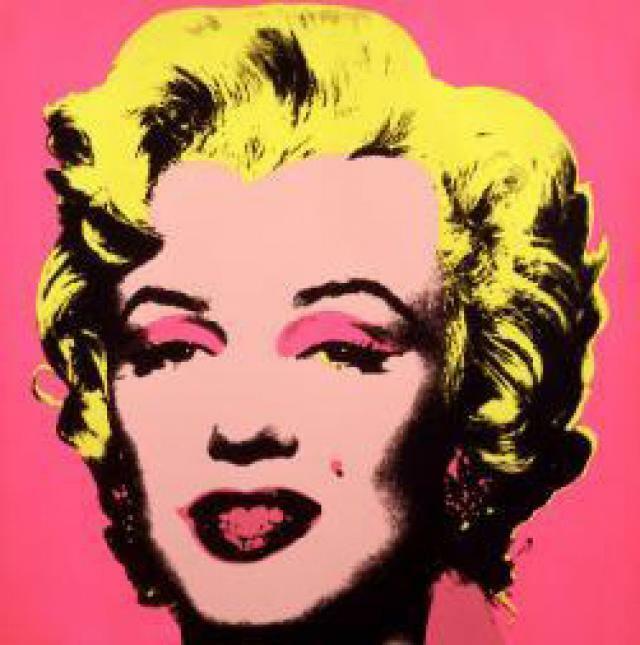 Highlights will include striking images like Warhol’s famous multi-coloured prints of Marilyn Monroe and Paolozzi’s dazzling, kaleidoscopic prints of the ’60s and ’70s. This exhibition shows how Warhol and Paolozzi drew inspiration from the ubiquitous, mass-produced imagery of popular culture and commerce – packaging, movies, advertising – which exploded in the post-war consumer boom. In the 1950s they used popular images as source material either by tracing them (Warhol) or by bringing them together in collages (Paolozzi), but around 1962-3 they began to exploit the potential of screenprinting, which allowed them to use photographic images as the direct basis for their works, and made the process of producing artworks more mechanised. Warhol’s first screenprints on paper depicted images of soup cans, race riots and celebrities in a deadpan, flat manner, with no hint of the artist’s feelings about his subject or any expressive, subjective style. Modern printing technology also transformed Paolozzi’s way of working, giving him a greater freedom and allowing him to control the forms and colours of his prints in a similar way to an assembly line, which can turn out the same product in a variety of colours. Andy Warhol and Eduardo Paolozzi | I Want to be a Machine takes its name from a much-quoted declaration by Andy Warhol, which the artist made in a key interview in 1963. Behind this seemingly facetious and characteristically off-hand quip was Warhol’s genuine desire to create art that reflected and celebrated our increasingly mechanised, industrial society. Across the Atlantic, at the same time, Eduardo Paolozzi was responding directly to the beauty he found in machine forms, and became fascinated by the interface between people and machines - in robots, computers and electronic storage of the world’s knowledge. The exhibits will be largely drawn from the ARTIST ROOMS Collection, which is jointly owned by National Galleries of Scotland (NGS) and Tate, and from the NGS’s own excellent collection.